For a long time, people have been fooled into believing that all healing comes from pharmacies and doctors. It seems like we are now finding out that there are many ways to deal with healing. Not the least of which is the very food we put into our bodies. This powerful realization has made a huge difference in how people face things like infection. Essential oils, natural products, and healthy foods are changing the medicine cabinet of the average American. At one time an upset stomach used to cause people to reach for pepto now people reach for things like kombucha, fresh ginger and maybe some strong leafy greens. We are much more suspect of the things that go into our bodies and that is understandable. While foods and oils don’t come with big consequences, we are finding out things like antibiotics and aspirin do! One of the lost methods for healing wounds is the use of sugar. Yes, sugar has been used since the times of ancient Egypt to affect wound healing. Let’s talk about how you can use sugar to affect healing in the modern age. If you find yourself dealing with a cut you will first want to rinse that cut with clean water and stop the bleeding. That is pretty much universal. Before you can do any healing you have to stop the bleeding. 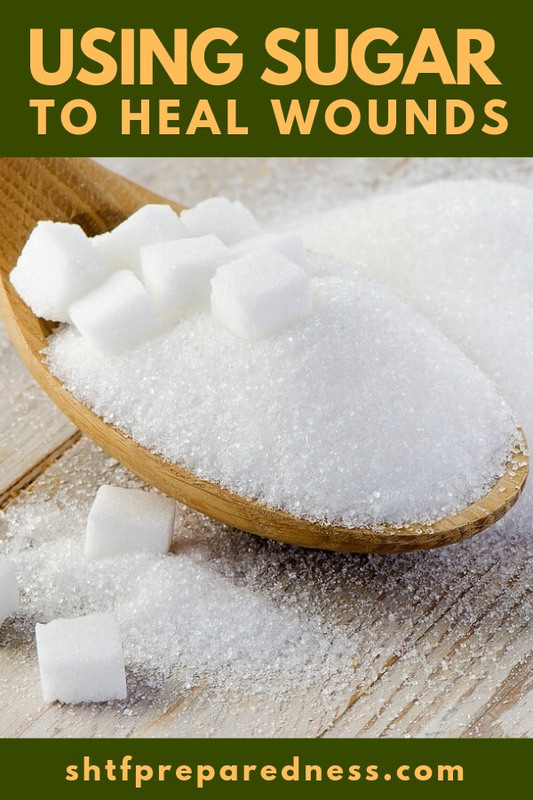 From there you can start considering sugar as your healer. While sugar can be added to a cut, literally sprinkled directly, you should use a small slathering of honey to affect the healing and keep the sugar sprinkle in place. 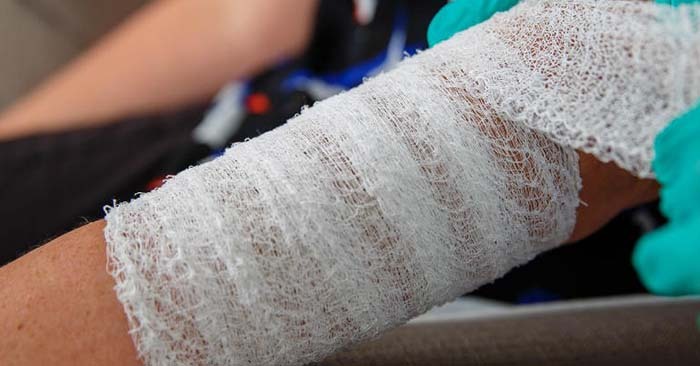 Once you have covered the wound its time to use a bandage to cover the affected area. This part is very important or your sugar and honey will come off. The sugar will absorb infection and also protect the wound from other outside infections. Its a powerful healing agent and can go along way in an austere setting.